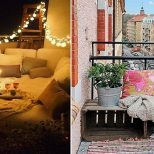 Just because you live in a cramped condo or apartment doesn’t mean you can’t transform your space into a tropical oasis. These 11 space-saving ideas will free up your floors and boost your health in the process. Geometric floating shelves are especially popular this year, with triangular, circular and hexagonal shapes stealing the spotlight. Cluster small potted plants in unique ceramic planters for an eclectic look. 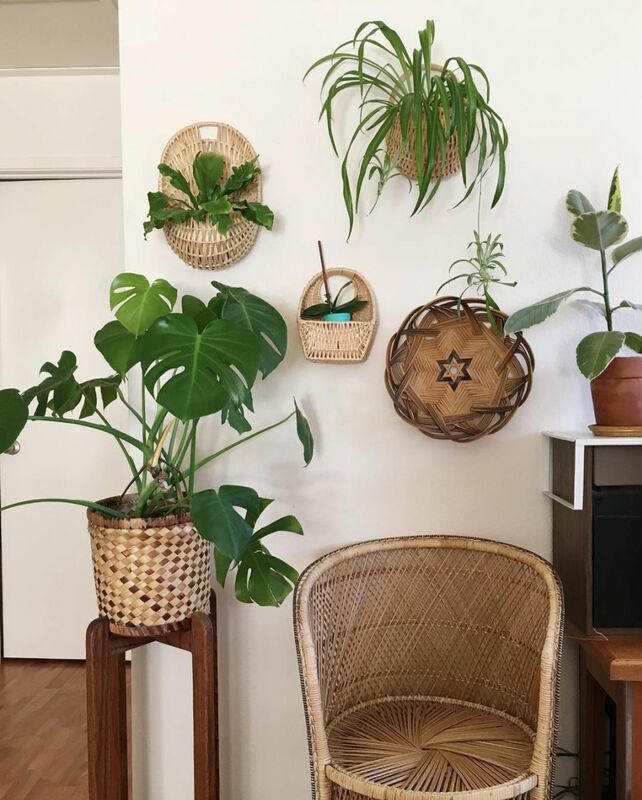 For renters who don’t want to do too much damage to their walls, wall-mounted planters may be the way to go. Most designs require just a single nail and are fairly lightweight. Air plants and fresh herbs are smart choices for vertical gardens. Trellises are a common sight in outdoor gardens, but have you ever considered adding one to your interior? 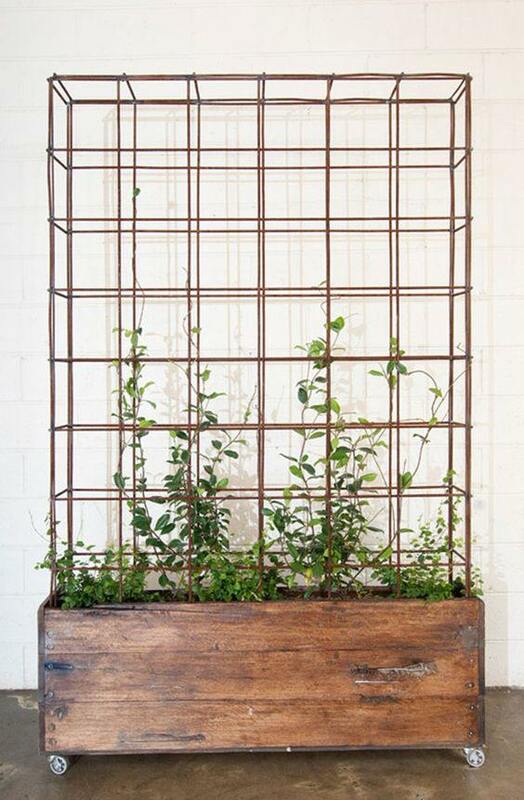 A wire grid organizer, such as this model from Urban Outfitters, could be used to encourage Philodendron to climb. You could even build a trellis room divider, like the one seen above, to define zones in a studio apartment. 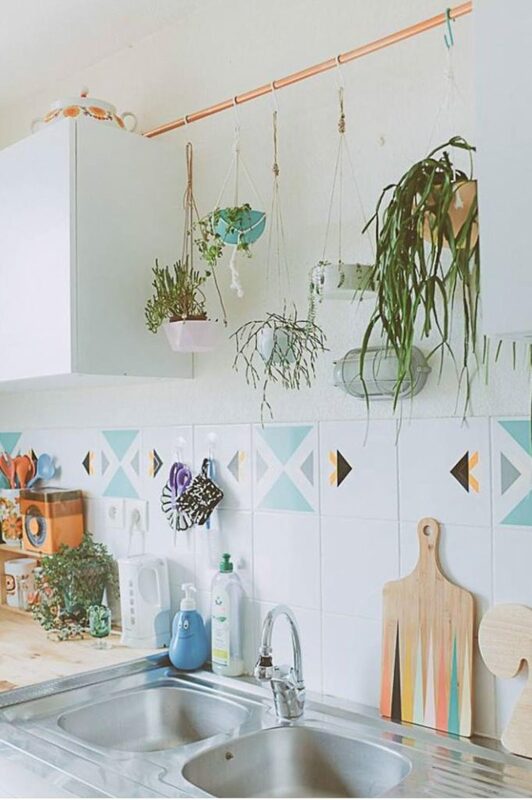 Free up valuable floor space by hanging a planter from the ceiling. 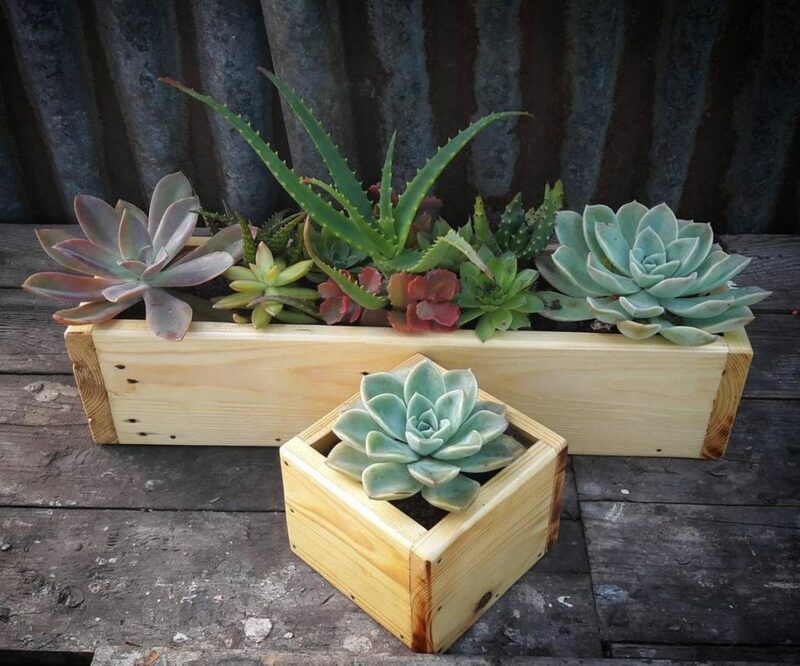 Your plants will thank you as they’re basking in direct sunlight. Drill a hole into a ceiling joist (which you can easily locate using a stud finder) and use a C-shaped hook screw that can support the weight of your planter. 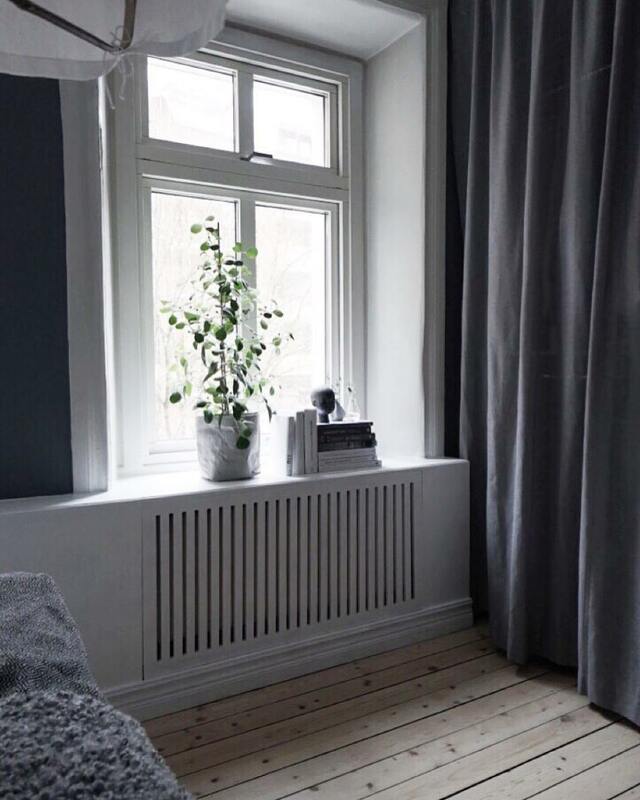 If you’ve been blessed with deep window sills, get those potted plants into formation. 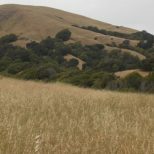 Windows with eastern or southern exposures are best, but be sure to research the amount of sunlight each plant requires. During the winter months, move your plants to a warmer location, as windows can be drafty or poorly insulated. 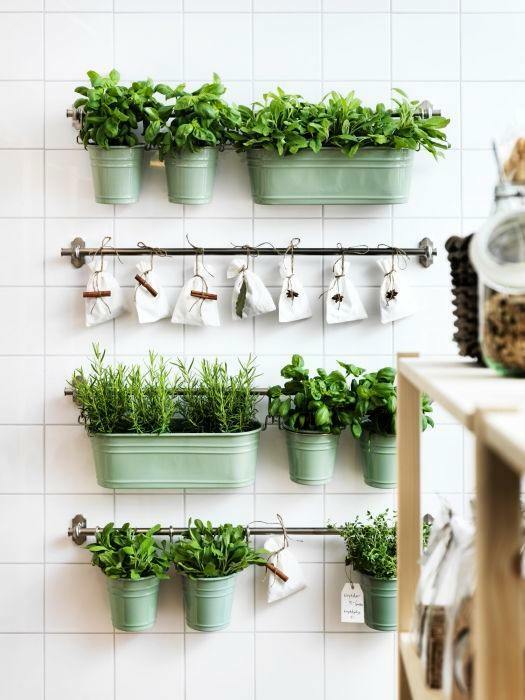 Pro tip: IKEA’s FINTORP system is a game-changer for growing your own herbs in a tiny apartment. Choose from a variety of affordably-priced rails, hooks and buckets to create a wall-mounted system that fits with your decor. 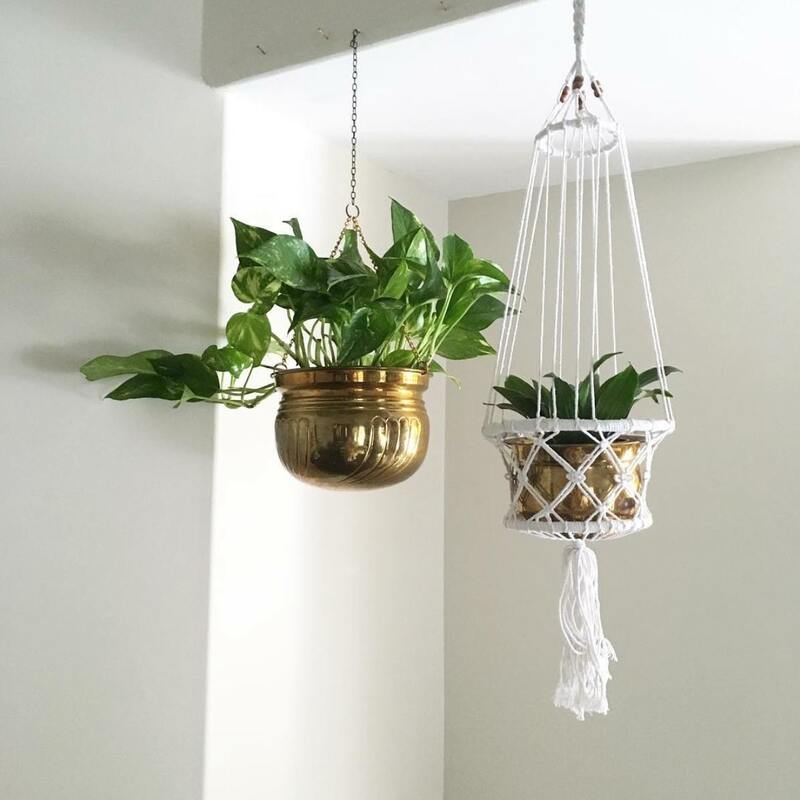 We’ve all seen those trendy hanging clothes racks, but the same idea can be applied to displaying houseplants. Use a wooden dowel, a copper pipe or a sturdy tree branch to hang potted plants. If you’re wary of drilling holes into the ceiling, you could also try securing a pipe between kitchen cabinets, as seen in the photo above. 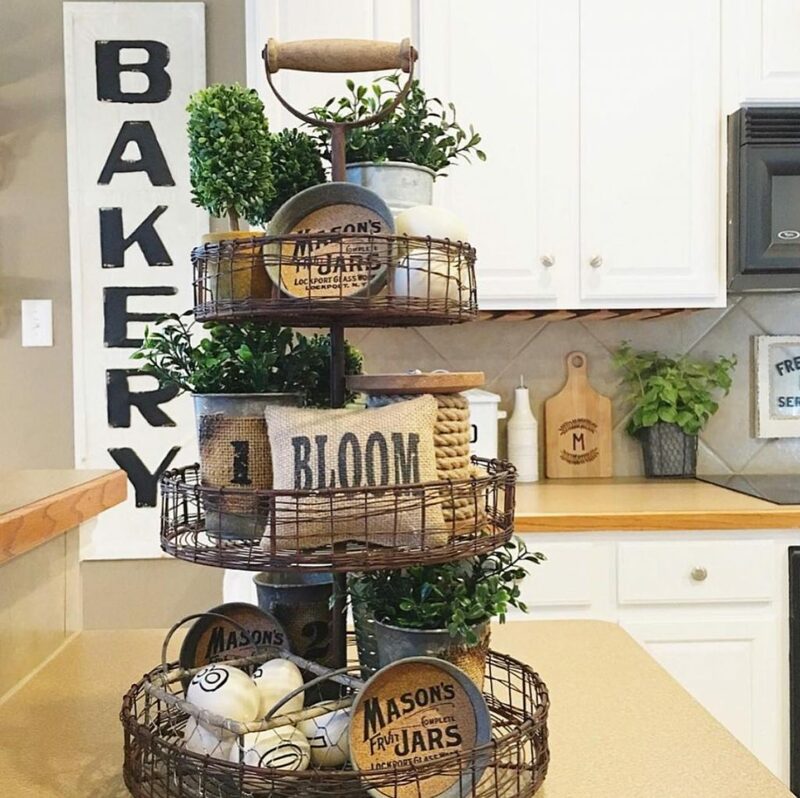 A farmhouse favorite, these three-tier stands are perfect for displaying small potted plants and other accessories. With multiple levels, it’s easy to create a layered look without occupying too much counter space. If you live in a colder climate or on the 20th floor of a high-rise, outdoor window boxes aren’t really a viable option. An interior window box can be enjoyed year-round and adds instant character to your space. 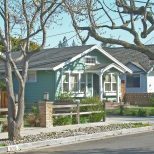 Use an aluminum gutter, as seen in this DIY project, or opt for a narrow wooden design like this product from Wayfair. 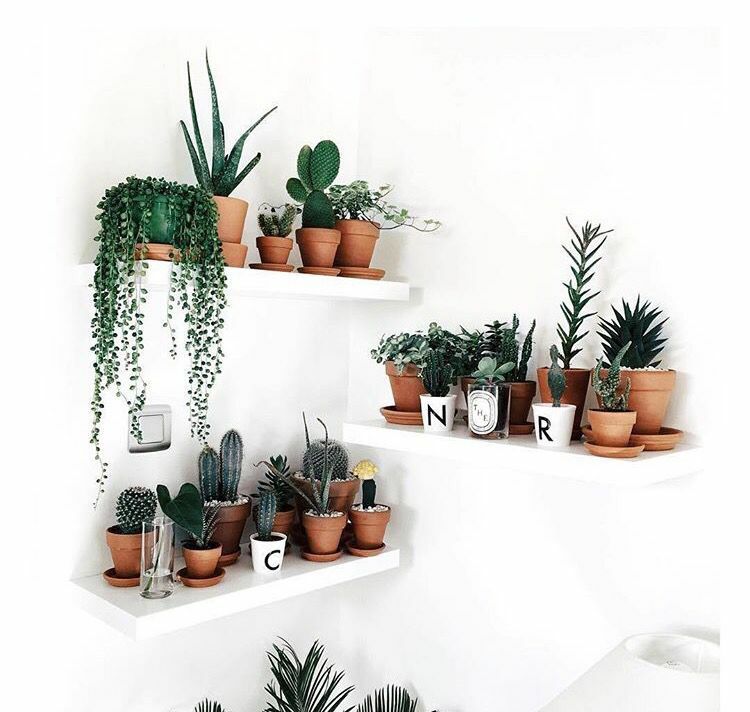 Place a climbing plant on a high surface such as a bookshelf or ledge. 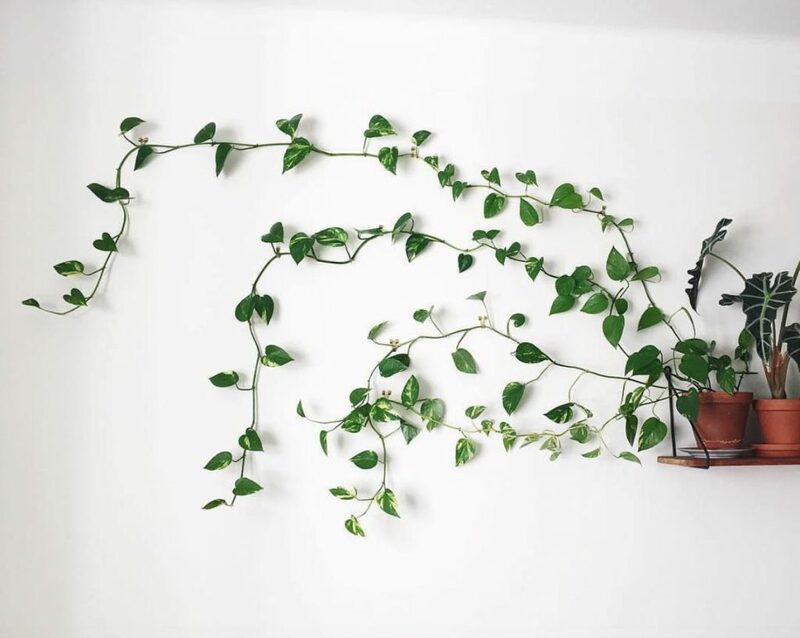 Over time, the vines will cascade down, and you can use thumbtacks to string them along the wall. You could also try sculptural wall art, like this one from World Market, to encourage growth. 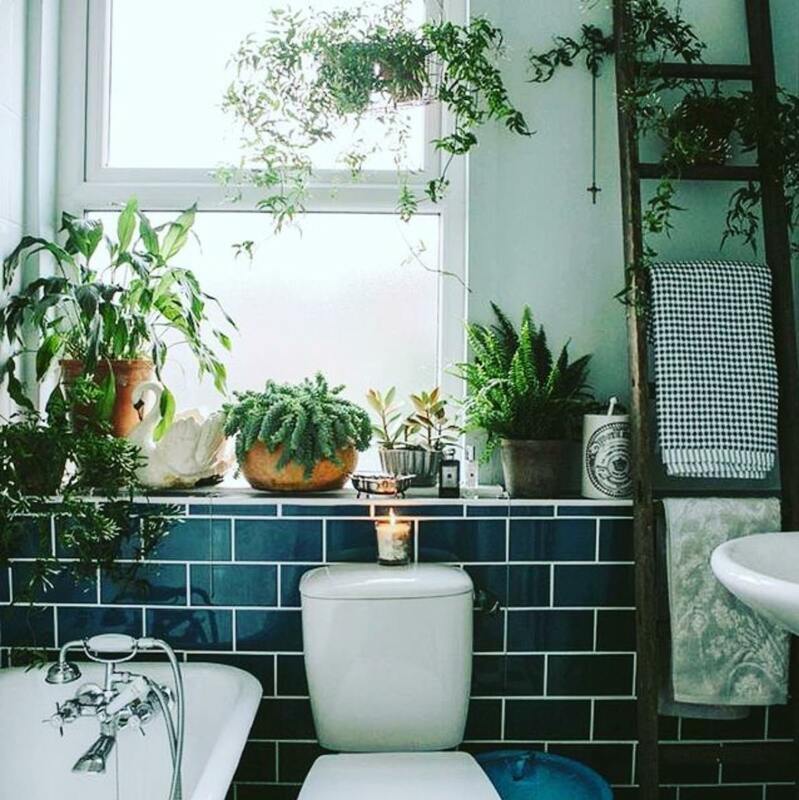 Covering up your radiator is not only a good safety measure, it can also provide you with an additional surface for displaying plants. The steam heat will keep tropical plants toasty and you can play up the design by adding an intricately cut grille. If you’re not very handy, a simple floating shelf above the radiator has the same effect.